Observation - Pinus sylvestris - UK and Ireland. Description: Large multi-stemmed Scots Pine, growing on railway embankment at woodland edge. 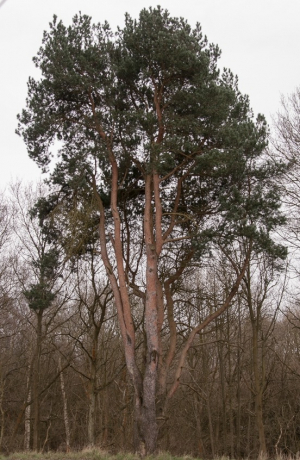 Large multi-stemmed Scots Pine, growing on railway embankment at woodland edge.